The Division II professional soccer team backed by one of the world’s best players and slated to start play next year in San Diego will be known as the 1904 Football Club, it was announced Wednesday. The name, which will be shortened to 1904 FC in most iterations, was derived from the city’s S and D initials — S is the 19th letter in the alphabet and D the fourth. It’s a number that’s sometimes been used as slang or associated with the city. “The number is already iconic in San Diego; now it will stand for the passion and pride of our region,” said Demba Ba, a professional player from Senegal who is one of the club’s founders. 1904 FC’s owners and founders hope to begin play in March as the newest expansion club in the North American Soccer League, though the league is in the midst of a legal battle with the U.S. Soccer Federation. The federation earlier this year downgraded the league’s status from Division II to Division III, after which the league filed a federal antitrust lawsuit. As of now, Major League Soccer is the country’s top league, followed by the USL and NASL. Despite the uncertainties, San Diego’s new expansion team has garnered the backing of several well-known African and European players, including Eden Hazard. The 26-year-old attacking midfielder for the Chelsea Football Club in the English Premier League and for the Belgium National Team is widely considered one of the best players in the world. Other founders include Ba, the Senegalese forward currently playing in China, who scored 99 goals in Europe’s top leagues, including in England and Germany; French National Team midfielder Yohan Cabaye, who plays for Crystal Palace in the English Premier League; and Moussa Sow, a French-born Senegalese forward known for his acrobatic goal-scoring abilities in France and Turkey’s top leagues. 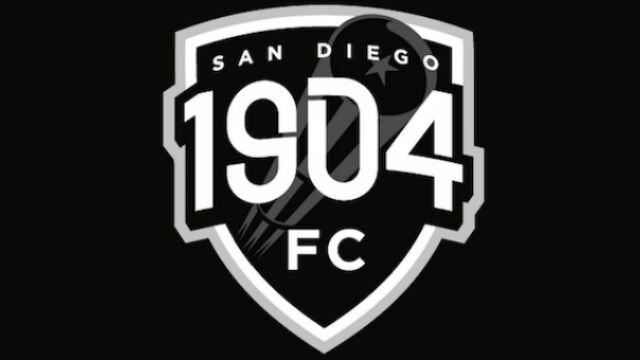 1904 FC also unveiled its club crest, which features “San Diego 1904 FC” over a telescope. Black and white will be the club’s colors because they “are as simple as the game itself,” the team said. 1904 FC is expected to play at USD’s Torero Stadium from March through July, the San Diego Union-Tribune reported. After that, the plan is to move to the North County into a modular stadium — built elsewhere, assembled locally — that could seat up to 15,000 fans.